Had dinner at a fabulous place last night, Katsuya on San Vicente in Brentwood. As their website states "the pairing of Master Sushi Chef Katsuya Uechi and design impresario Philippe Stark" truly a feast for the senses, and it was. 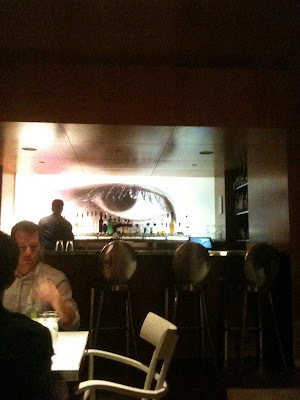 The freshness of the food, polite and helpful staff and visual surrounding were amazing. I loved the over sized images of the Geisha's throughout, not to mention the images that fade in and out in the powder room mirrors (very cool). I would have eaten there tonight also...it was that good. Great people watching. 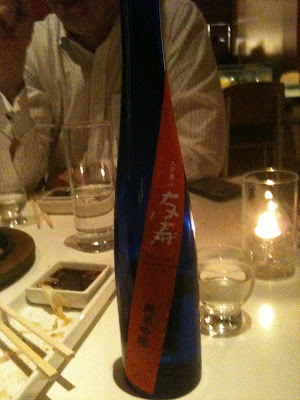 Ate at a fabulous place last night, Katsuya on San Vicente in Brentwood. As their website states "the pairing of Master Sushi Chef Katsuya Uechi and design impresario Philippe Stark" truly a feast for the senses, and it was. The freshness of the food, polite and helpful staff and visual surrounding were amazing. I loved the oversized images of the Geishas throughout, not to mention the images that fade in and out in the powder room mirrors (very cool). I look forward to returning soon!